Providing you the best range of honed hydraulic tubes for steel industry and honed tubes with effective & timely delivery. We are offering a wide range of Honed Tubes which is suitable for Chemical Industry Machine, Medical Equipment, Food Machines, Ship Machines, Semiconductor Vacant Machines Equipment. The Cold Draw Seamless Stainless Steel Tube after honed and grinding precisely, the surface precision are can be meet international standard, it can be used directly and save your time and cost if processed is necessary. Suitable To Hone Mechanical Tubing is produced from either cold drawn seamless tubing or from drawn over mandrel (DOM) steel tubing. Suitable to Hone tubing is intentionally produced with an oversized wall thickness, which is ntended to be honed to a smooth finish ID for cylinder application. 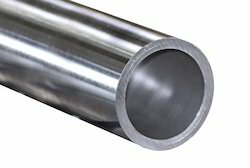 By utilizing suitable to hone tubing, machine time is reduced and waste is minimized. Made from E355 or ST52.3 steel Meets ASTM 106 Grade B and EN8 Type 5 Stocked Size Range: 32 ID â€“ 500ID Stocked in 5800 and more random lengths Cut to length sizes Imperial and metric sizes.